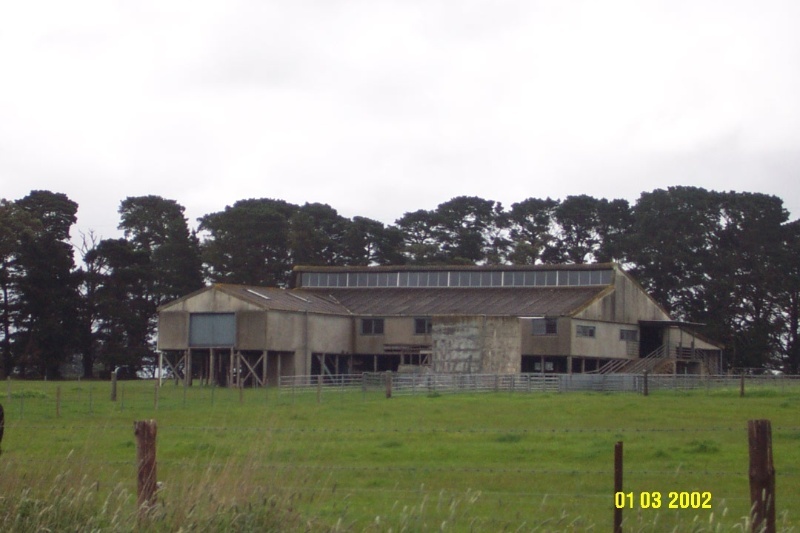 The Torbank Woolshed, which was built in 1956, is on the western bank of Muston's Creek about 11kms east of Penshurst. It was built for Ian Ritchie of Blackwood by local builder, Geoff Dickeson. It cost 27,000 pounds to build. The woolshed is constructed from reinforced concrete on piers over a relatively steep slope. The woolshed was considered innovative for its form, plan and detailing. 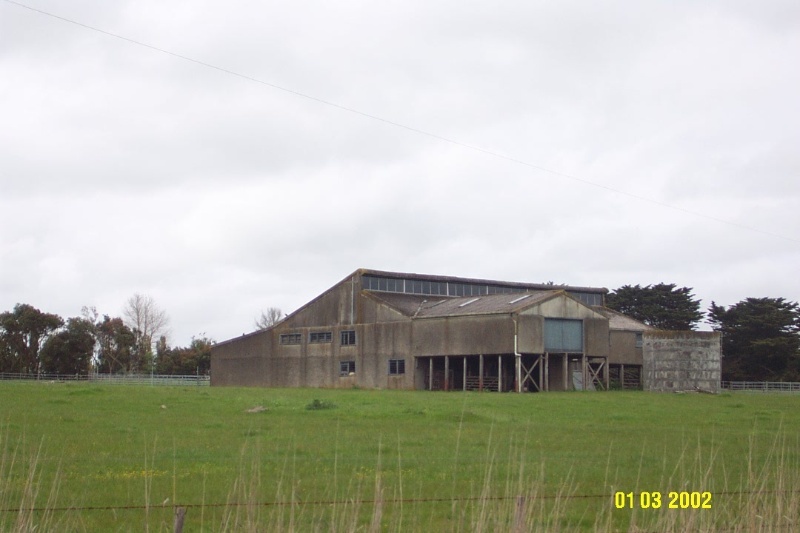 It is one of the last great woolsheds to be built in the Western District. The building is in good condition, having been renovated in 2002 and retains a good degree of integrity. The Torbank Woolshed, Tobermory Lane, Penshurst is of architectural and historical significance to the Penshurst community and to the Southern Grampians Shire. 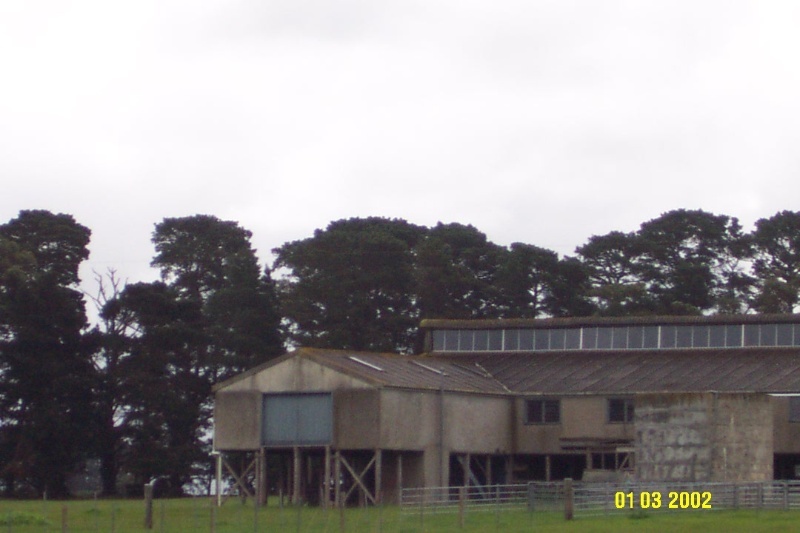 The Torbank Woolshed, Tobermory Lane, Penshurst is of architectural significance for its unusual use of reinforced concrete, its orientation to maximise sunlight and for its innovative planning. It is of historical significance as a relatively late example of the construction of a large woolshed in the Western District and for reflecting the end of the wool boom begun by the Korean War and the more general prosperity after the Second World War. The woolshed is in good condition. The woolshed is constructed from reinforced concrete over a sloping site about 300m south of the Torbank homestead. The building is supported on reinforced concrete columns which allow clear access below the main floor and board. It is oriented to maximise the use of light with a clerestory or skylight window running the full length of the building on the south side and small windows at the west end to encourage sheep to run easily into the shed. The skylight and lower louvre windows are said to provide ventilation to dry wet sheep. The skylight windows were replaced early in 2002 and other works were done to the yards. An elevated wing on the south side with large doors allows for loading sheep directly onto trucks. The original roof was corrugated asbestos sheeting. There are galvanised pipe yards on the south side, which replaced the original timber yards in 1975 (pers. comm., David McCulloch, 2004). Substantially intact although clerestory windows were replaced in 2002 and other works were done to the yards. Ian Ritchie, owner in 1956.